With tomorrow marking the official European release of Wii, the "Iwata Asks" series draws to a close. I'd like to express my gratitude to all of you who've been following our conversations through these interviews. Over the last few years, we have endeavoured to produce an entirely new product like nothing that has come before it, aimed at greatly expanding the gaming population. This has been an unprecedented challenge for the company. But precisely because of all the efforts we have made, I wanted to impart to you all the details about how we developed Wii, and it's my wish that these interviews remain as a testament to all the work involved in this project. We were very fortunate to have been able to make the best use of all the opportunities we have been presented with, as well as having the support of everyone both inside and outside of Nintendo. As I look back over the entire project, I can safely say that if we were to do it all over again, I'm sure the results would be the same. I feel that producing this console is a wonderful achievement, and there are no regrets in my mind. With the release of Wii, Nintendo has been able to realise its ambition of releasing a new console nearly simultaneously around the world for the first time in the company’s history. This is something we were committed to achieving for our customers in Europe and North America, who often have to wait patiently for our products to be released in their home countries. Regarding the initial amount of units that were made available to preorder, because of the huge amount of demand that our customers have shown around the world, there have been cases where not everyone who wanted to was able to successfully reserve a Wii console. This will warrant serious reflection, along with the fact that the Wii functions available on the console do not yet represent all of those in our original vision. But with Wii, the development and manufacturing of the product are by no means the end of the story: we will not feel we have arrived at our goal until Wii fully meets consumers' expectations and reaches everyone, regardless of their age, gender or whether they have gaming experience or not. What I mean to say is that the Wii project is far from complete. 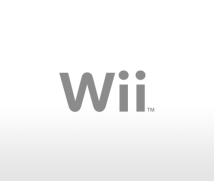 We plan to provide updates for Wii via the Internet, and step by step move closer to our goal: making a large and varied range of software and channels available, and eventually getting to the stage where every member of the family makes picking up the Wii Remote a part of their daily lives. That's the challenge that still lies ahead of us. I'd like to take this opportunity to thank you all once again for taking the time to listen to our thoughts, feelings and hopes for Wii.